The numbers in the pink and yellow bands beside the grand children's names are the number of descendants for each generation. The letters showing among the roots of the tree are the initials of ancestors. 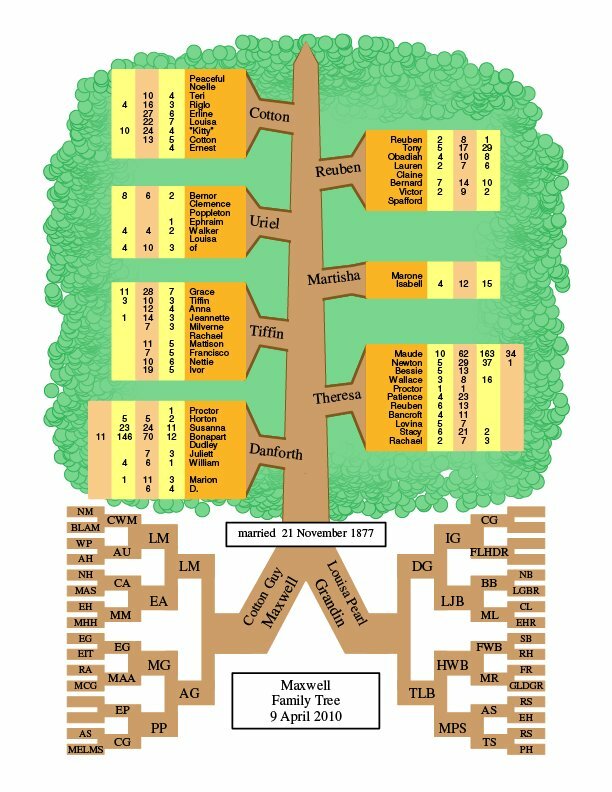 Or if 'PAF' and 'GEDCOM' are totally foreign words to you we can probably help you get started gathering the data to print your Family Tree chart. If your are interested please contact me at famtree@parowansoftware.com.